Latin America: What's Ahead In 2012? A few days after the first sunrise of 2012 kissed the shores of Latin America, it is natural to ask: What does the New Year hold for the region's economies, especially with Europe still under stress? For sure, a dimmer economic environment, here and abroad. Growth has softened in the larger countries of the region. 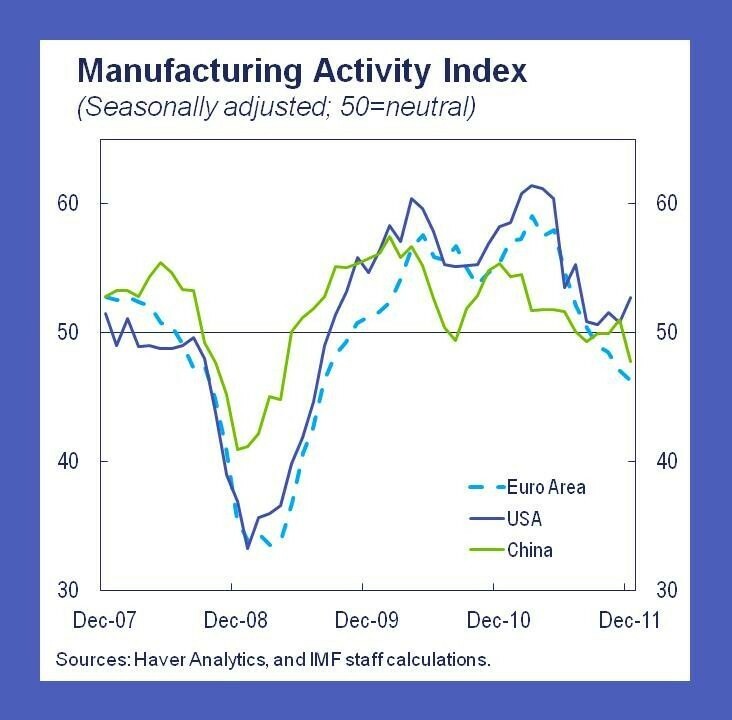 Looking North, the United States is growing a bit more, but elsewhere activity is softening, including in China -- an increasingly important customer for the region's commodities. The future course of the European crisis remains the biggest risk. Progress so far toward a comprehensive solution has not yet calmed financial markets. The United States has yet to strike the right fiscal policy balance, with both near-term support for growth and long-term sustainability. How do we at the IMF add this up to arrive at a new outlook for the Americas in 2012? While our official forecasts won't be public for a few weeks, we can say that the outlook for the year ahead will not be better than what we thought in October, when our last forecasts were published (we publish new ones on January 24, in the World Economic Outlook Update; look for our blog update around then). To be sure, we don't see a recession coming in Latin America if the European crisis remains contained, but weaker growth is clearly in the cards, not least because confidence and commodity prices have been falling. Financial risks continue to dominate the outlook. These days, all eyes are on Europe. While deteriorating conditions there have not yet spilled over to Latin America, we will not be immune if the risks move to the foreground. 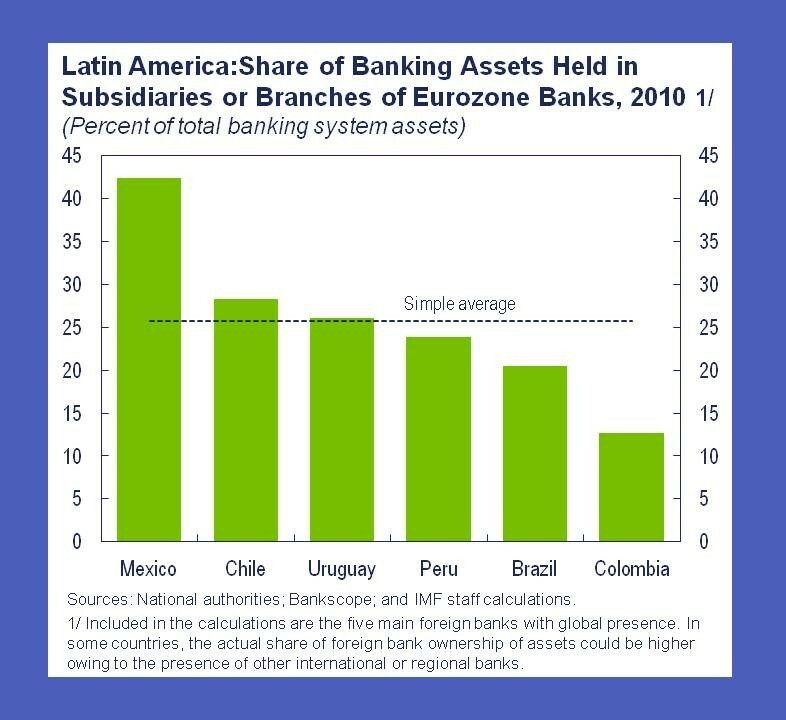 Eurozone banks account for one-quarter of banking assets in the larger Latin American countries, on average, and many of those banks are not lending or rolling over existing lines in an effort to shore up their balance sheets. But if the simmering crisis in Europe comes to a boil, that process could speed up, especially if euro zone banks are starved for short-term dollar funds (though these banks have prudently funded their Latin American activities largely through local-currency deposits, reducing their vulnerability to a dollar funding squeeze). Fewer external credit lines available to banks could trigger a credit crunch in Latin America, coming on top of a decline in confidence and slower investment and, if the malaise spreads to Asia, falling commodity prices: a toxic mix for growth and stability. What should countries do in the face of this risky outlook? A lot depends on their current macroeconomic situation. On the fiscal front, the major lesson from Europe today -- and from Latin America's past -- is that sound public finances are crucial. In countries where fiscal room permits, there may become a time to spend public money to fight a downturn as was done in 2009. But that time is later, if the risks appear; not now. The European crisis shows how countries with wide fiscal deficits can suffer a sudden loss of credibility that triggers capital flight, even when public debt is at manageable levels. Meanwhile, financial systems should be under extra scrutiny for signs of stress, with a particularly watchful eye for liquidity strains. 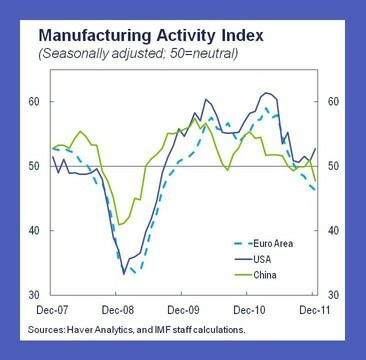 The good news is that many countries in the region are entering 2012 from a position of strength. These countries have managed their economies and markets skillfully since the 2008 crisis. In particular, the 2008 crisis taught Latin America the importance of maintaining healthy liquidity conditions to avoid a credit crunch, which is very difficult to combat with macroeconomic policies. Moreover, for the most part, banks are sound, monetary policy frameworks are increasingly credible, international reserve coverage is adequate, and public finances are strong. The key will be to hold that position. Overall, as 2012 kicks off, our advice is to hope for good news, but prepare for the bad.